In my family, my mom is known as the “oily” person. Walking into my parents’ house, you will instantly know what I mean as the aroma of lemon and lavender greets you. Anything I know about essential oils, I contribute to her. Currently, I use oils for anything from a head cold to a canker sore. I still attribute Thieves oil to keeping my family flu-free this year; peppermint is always a go-to when I have a headache; lemon and lavender create a dynamic duo combatting the severe allergies we’ve experienced this spring. As moms, we honestly don’t have time to be sick! And with all the germs floating around anytime you walk outside the door, you have to have a game plan when it comes to keeping you and your kids well and happy. Top reasons why I use essential oils with my kiddo include teething, sleeping, tummy troubles, relaxation, allergy-resistance, and immune boosting. 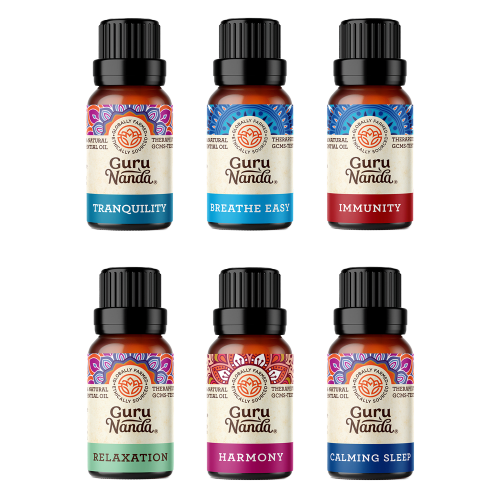 essential oils have the potential to alleviate inflamation, relax muscles, calm nerves, balance hormones, relieve anxiety, remedy hypertension, air digestion, boost immune system, and more. These are all-natural (meaning using ingredients straight from God’s green earth) cures for ailments otherwise treated with perscripton or over-the-counter drugs. Before we get into how they work, let’s talk about what the “essential” in essential oils actually means. Essential oils are what are called volatile aromatic compounds. This means they are made up of molecular compounds that can change state quickly at room temperature (volatile: can change state of matter quickly, such as liquid to gas), allowing the molecules to travel more quickly. Essential oils are made by a process called distillation, where the plant of choice is held above boiling hot water. This arrangement allows steam to enter the plant and attach to its internal oils, finally to be collected by condensing the steam and separating out the water. The result is pure oil directly from the plant. The quality of the oil is affected by every aspect of the plant’s growth process. From weather and geography to the method by which it is grown and harvested, the smallest detail can make or break an oil. This explains why certain brands of oils are alright to ingest while others are not. The quality matters because of the powerful nature of these oils. When you smell an oil, the molecules of that oil are going straight into your nose and into your olfactory organs (how smells register with your brain). Your olfactory system connects smells to your brain and then to other parts of the body, like your limbic system (which controls your emotions). When applied topically (directly to the skin) essential oils are absorbed into the bloodstream and carried throughout the body. One way to maximize results when applying essential oils to the skin is to apply directly to pulse points (places on the body where you can measure your pulse) This helps the oil to be carried throughout the body. Not all essential oils are to be ingested. These oils are highly concentrated, and depending on the quality, a type may be toxic for ingestion. The best practice is to do your research carefully before ingesting an oil, and always dilute it well with a carrier oil. Not all oils are healthy to ingest. This is why Young Living now has their Vitality Line, consisting of four categories of ingestible oils. Be sure to research thoroughly before ingesting any essential oil. So how do essential oils produce such amazing results for the human body? Like all living things, plants communicate. Of course because they can’t speak, they rely on the release of smells to ward off danger, attract pollinators, and resist plant diseases. These aromas derive from the oils harvested through the distillation process, and these benefits can be used by humans through correct application. Much more research has yet to be done regarding the long-term effects of essential oils. Because of their extremely high concentration and volatile nature, they must be used correctly in order to be safe. If you are taking medication, be sure to research the effects of each oil with your particular medication before using. Carrier Oils and dilution are also key factors in safe essential oils use. After all, 1 drop of peppermint oil is equivalent to 28 cups of peppermint tea. Carrier oils help the body to best absorb an oil while diluting it down to a safe level. Some carrier oils include almond oil, jojoba oil, coconut oil (fractionated to stay liquid at room temperature), argan oil, olive oil, and rosehip oil. A good ratio of carrier oil to essential oil is 1 ounce of carrier oil for every 12 drops of essential oil for adults and 1 ounce of carrier oil for every 6 drops of essential oil for children. Is there a right and a wrong way to use an essential oil? Definitely. Safe practice starts with being educated, so do your research! As I have said, the quality and nature of each essential oil determines how it should be used. When applying essential oils to children and babies, a good practice is to rub the well-diluted oil onto the feet. If you’re worried about baby putting his foot in his mouth, put socks on afterwards. It is not suggested for a pregnant or nursing mama to use essential oils and especially not to ingest them. Extensive research is incomplete in this area, but for babies in utero, essential oils may be treated as a neurotoxin. Best to play it safe, and when you doubt, don’t! What essential oils are considered safe for kids and babies? Consider the oil and the age of the child before using essential oils with your kids. Before 3 months old, a baby’s skin is very delicate and can be easily burned by the use of essential oils. Between ages 3-6 months, lavender is a good choice of oil to diffuse and apply to feet for relaxation and help with pain from teething. Need a diffuser? Try this Bluetooth Speaker and Diffuser! 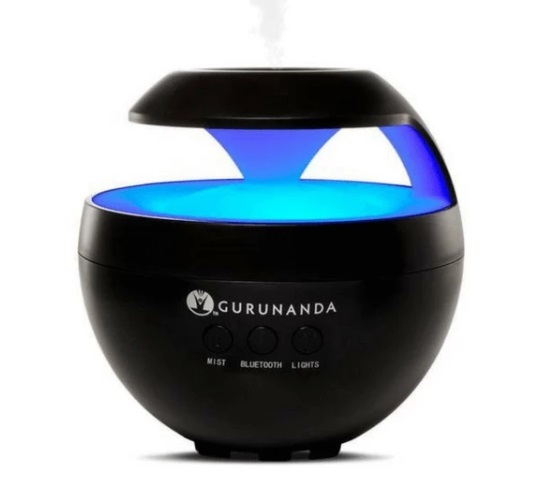 Shop Gurunanda Essential Oils And Get 10% off RIGHT NOW after signing up for their newsletter! What has your experience been with essential oils? Comment below to share your story. Get more FREE resources here! Oh wow! This is very informative! I didn’t know that you can use essential oils the wrong way! I have never tried them myself, but I know a lot of people that do and have said that it has helped with from colds to headaches to some even say joint pain! Thanks for sharing! I may have to start trying these! I always consider trying essential oils. My cousins swear by it too. Your post makes me want to go for it! Thank you for sharing this! I have been slowly learning more about oils and have wondered what is safe and not safe for my Littles ones! This was extremely helpful! Thank you so much for sharing this. I’ve just recently started using essential oils but it is all such a foreign world to me. I love how this breaks it all down! Great information! I’m an oily mama, too. When my daughter has a headache, she asks for peppermint. What do you recommend for canker sores? I’ve just been having her swish with salt water and oil pull. Last night my 14 month old fell and hit her head. She has a bump, to which I applied some lavender to hopefully curb bruising. I think often people assume that EOs are all safe because they’re natural, and it’s so important to understand hot oils, and safety for children and pets. Thank you for spreading the word! I’d suggest Thieves for a canker sore, but make sure to dilute it in coconut oil and stir into warm water before swishing. I use it all the time for that and for sore throats! Thank you for the information! I am glad you emphasize dilution, because many people fail to do this. The oils smell so wonderful that often people forget how powerful they can be. I research the oils before purchase or use to make certain I am using them correctly. What are the best essential oils to add to a bath? Thank you for such great information! I never thought about using essential oils but keep hearing more about them. I learned a lot from you. My cousin has been telling me about essential oils for years and I tried them not to long ago and I really like them! Thank you for sharing this info! I never thought about the oils being too much for little ones. Great tips! Still learning how to use all my oils and this is so helpful!